Nice one, Kate. I like the Principle of Parental Certitude, as well as the insistence on gratitude. Uh, how about contributing an acceptable sample thank you? Some of us could use a template. Well, Hope, templates make me nervous (see Criterion 2). But I here append a list of first lines thanking a fictional Aunt Phyllis for a pair of bright blue socks. If you can be grateful for socks, you’re on the right track. 1. I am sitting here with very warm toes, thanks to you . . .
2. That is the coolest color I have ever seen. Can I wear these outside my shoes instead of inside? . . .
3. It was such a great surprise to see you pull up at my party on Saturday, and then to have you bring a lovely present too . . .
4. There’s just one problem with those awesome socks: my little sister keeps trying to steal them . . .
5. How did you know I needed socks? 6. We have to wear those horrible uniforms in school, but now, thanks to you, I get to wear a little something cheerful too. . .
7. Leave it to you to give me something both practical and silly. I love them! . . .
8. I was hoping there would be socks in that package—I’ve worn through the last pair you gave me . . .
9. These socks are fantastic! . . .
10. Warm and cozy and bright—these socks remind me of visiting your house in the winter . . .
Would that work as a Thank You Note? Yes, Matt, that would work. And for the record, I did not intend to make anyone feel bad. 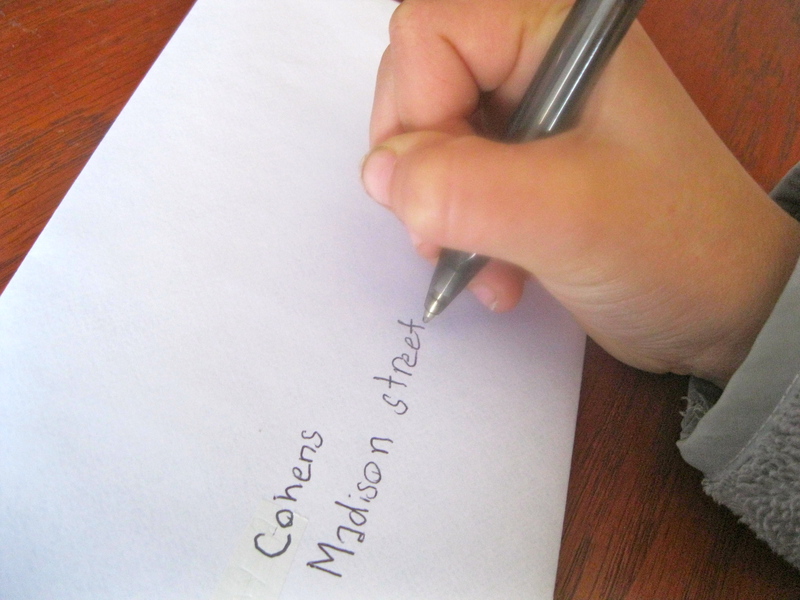 Maybe inspire them to take this little corner of correspondence seriously–just as someone could write an essay that would inspire me to cut my kids off from South Park or candy. It’s hard to be good in every way, isn’t it?